The Dance Group practices every Wednesday from 7-9 p.m. If you’d like to learn more about us or to join us, please come see us at the club. Call Dance Meister Art Ruckle at (702) 649-8503 and leave a message. 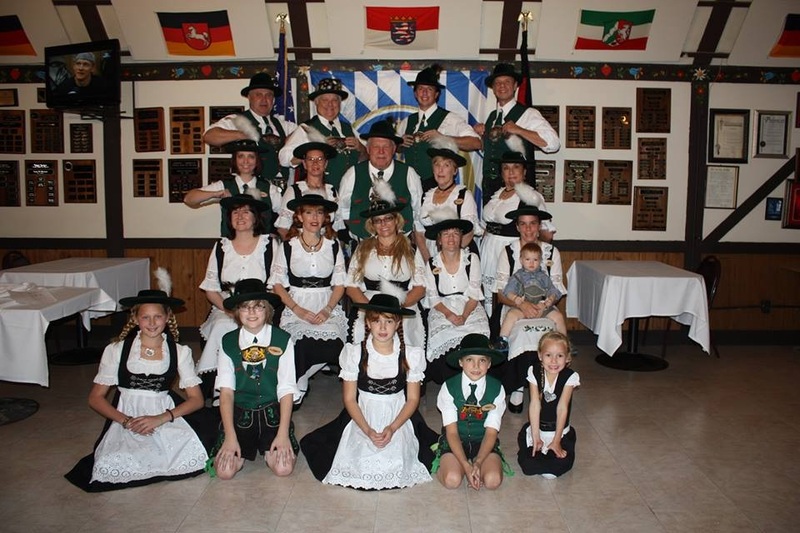 The Las Vegas Bavarian Dance Group is actually two groups in one: The Folk Dancers and the Schuhplattles; proper name of Die Lustigen Bayerischen Schuhplattler (The Funny Bavarian Shoe Slappers). Even though they really only have 2 seasons... they are very busy with dancing all over the city and across the country. If you're interested in joining the Dance Group, please send an email to web@GermanAmericanClubNV.com or just come to the club Thursday nights for practice. If you participate on a regular basis in dance practice and performances, a dancing outfit will be issued. There are no dues to be a member except for a commitment to participation. Fundraisers through the year go towards dancing costumes. Group President is Art Ruckle.